This was brilliant; it's a proper edge of your seat ride and as the end approached, I read way beyond my bedtime as I couldn't possibly have gone to sleep without finishing the book. I loved Erika Foster; she's lost everything so she has nothing left to lose. She throws herself into the Girl in the Ice case, putting herself in danger as she vows to crack the case at any cost. Although Erika comes across as a tough nut, she's recently suffered a personal tragedy and she is slightly fragile underneath her hardened exterior. This gives her the perfect creme egg mix of hard on the outside and soft on the inside. With such a fast pace, I found myself having to stop my eyes from reading too fast as my eyes swept over each page gathering clues to the killer's identity. I really didn't guess who the perpetrator was as Robert Bryndza cleverly drew my interest in other directions and I was suspicious of all the wrong people. As Erika starts to look into other cold cases (no pun intended) and gets closer to revealing the killer, I was on tenterhooks as the killer turned their attention on to Erika. I have no doubt that this is going to be a fantastic series and I will be standing in line when the next Erica Foster book comes out. 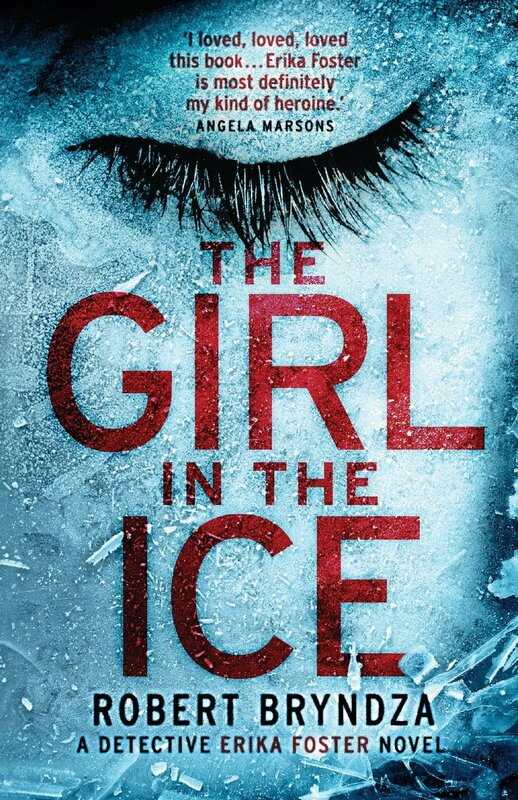 The Girl in the Ice is a fast paced, chilling thriller with a tough and extremely likeable heroine.